Planning Easter 2020 Florida holidays? Easter is a fantastic season in Florida. The weather is the best of the year – noon temperatures can reach 80F/27C but mornings and evenings are cool and fresh. Sunny days and clear blue skies are perfect for strolling around the theme parks or relaxing on the beach. But it’s the busiest time of the year so an advance booking is vital – early birds snap up the best flights and accommodation. Airlines release a limited number of reasonably-priced seats on busy Easter 2020 dates – book now so we can secure them for you on release. If you wait until you can see the flights on an airline website it’s too late. Book now for a decent villa – the best villas in prime resorts like Windsor Hills and Emerald Island are booked long before flights are released. Want to stay close to Disney? We book all the communities up and down Highway 27 and Highway 192. Popular choices include Emerald Island, Highlands Reserve, Westhaven, Champions Gate Resort, Reunion, Regal Oaks and Windsor Hills. 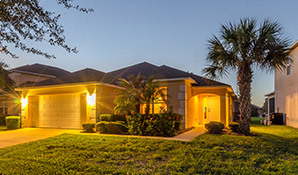 Combine a villa with Orlando flights and car-hire for a great value Easter 2020 Florida holiday. Check out this Easter 2020 Florida holiday at Watersong. Low prices are achievable even with direct flights if you can leave a few days before the rush. Watersong is a peaceful community near to Interstate 4, with good proximity to Orlando’s main attractions. The holiday includes villa accommodation, car hire and direct flights from Gatwick, Glasgow or Manchester. Book early for the best villas. Families with children are typically restricted to school holiday dates. Most schools break up on Friday 3rd April 2020 – Florida flights will be expensive and difficult to book on this weekend. Save money with an indirect flight via Atlanta. The change only adds a couple of hours to your journey but offers substantial savings. For more information, see our April 2020 Florida holiday. Fly indirect to Orlando and stay in a Westhaven villa for two weeks. The holiday includes a fully-insured minivan. This fabulous Easter 2020 Orlando holiday is priced at £1075 per person. Book today with a small deposit. Planning an Orlando holiday for a large group is hard work! We can help. One half of the family leaving from Edinburgh and the other half from Manchester? No problem – we can arrange your simultaneous arrival at Orlando. We can book multiple villas, hotels and vehicles. And we can provide a high-quality 8 or 9 bedroom villa for your party of 20 or so. 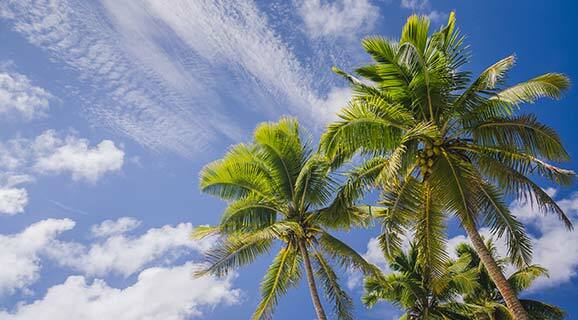 Book your Easter 2020 Florida holiday with a deposit of £100 per person and full ATOL protection. Beat the Easter rush with a March 2020 Florida holiday – prices are more economical a few days before the school holidays. 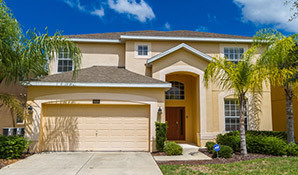 Fly direct to Orlando and enjoy two weeks in an Emerald Island villa, right next door to Disney. Prices start at £895 per person. Book in advance with a small deposit. We can book your Easter 2020 Florida holiday at any on-site Disney or Universal hotel. We also sell attraction tickets and can beat the price quoted on any website. Call us today on 01934 319 851 to discuss options. Easter 2020 Orlando flights with British Airways or Virgin direct from Manchester, Gatwick or Glasgow. British Airways Easter 2020 Tampa flights. Fly from Glasgow, Edinburgh, Aberdeen, Manchester or Heathrow and change once en route for a big saving. Fly with United, BA, Virgin or Delta. Book with confidence. All bookings are ABTA and ATOL protected. It’s not difficult to bag a bargain even on the peak weekend departures of 3rd and 4th April 2020. Direct flights are expensive. To save money, fly from Heathrow, Manchester, Glasgow or Edinburgh with one change en route. Timings are excellent for early bookers – be in Orlando by 5pm with customs already cleared. Check out this Easter 2020 Orlando holiday for an example. The package includes indirect Orlando flights, car hire and two weeks in a comfortable Emerald Island villa. All from just £1145 per person. Emerald Island Resort is a beautiful gated community just minutes from Disney World. Fine dining and world-class shopping are a short drive away. The best villas will be snapped up quickly so book early. Don’t worry if these Easter 2020 Orlando holiday offers don’t fit your plans. We book all types of Florida holiday. Tell us your requirements on an enquiry form or call us on 01934 319 851. Book your Easter 2020 Florida holiday with a deposit of £100 per person. Balances are due 90 days before departure. All our Easter 2020 Florida holidays are fully protected by ATOL and ABTA.